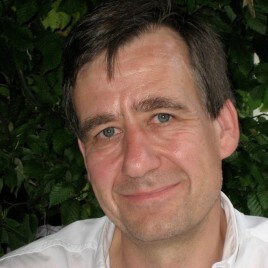 Born in 1958, professor of French Literature at the University of Lausanne, specialising mainly in 19th century works. The work of Polish writer Jan Potocki has left an indelible mark on his scholarly and literary work. Rosset became famous for publishing a biography of the writer, translated into Polish in 2007. Rosset’s work is an exciting journey through the life of the controversial Polish writer, the author of the extraordinary novel The Manuscript Found in Saragossa. Rosset spares no details of Potocki’s life, describing them honestly based on found letters and documents. Francois Rosset also serves as the president of the Kościelski Foundation, which has been awarding a literary prize since 1962, which is intended to honour young authors (under 40 years of age). He is connected with Krakow, where he lectured at the Jagiellonian University for a time. This is where he defended his doctoral dissertation on Jan Potocki’s most famous novel. Francois Rosset is also known as a translator of Polish works into French. The discussion with the author of Potocki’s biography will take place on 24 October at 3 pm at the Pałac pod Baranami.